JAI Founder - J A Y A D E V I Arts Inc. - "Preserving IndoCaribbean Arts & Culture"
Denyse Baboolal is a multi-disciplinary artist and cultural activist in the Indo-Caribbean community in New York. Before migrating to New York, Ms. Baboolal studied Kathak and Indian folk dance under the tutelage of Satnarine Balkaransingh of the Nirtyanjali Dance Theatre. In New York she became involved with the Rajkumarie Cultural Center where she continued her study of Kathak and learned Rajdhar with the late, great Gora Singh. Her diligence and fineness led her to become the Director of Operations of the Rajkumari Center for Indo Caribbean Arts and Culture, along with other titles such as: secretary, board member, producer, dancer, and choreographer for Kitchrie 2000, 2003, 2005, & 2012. 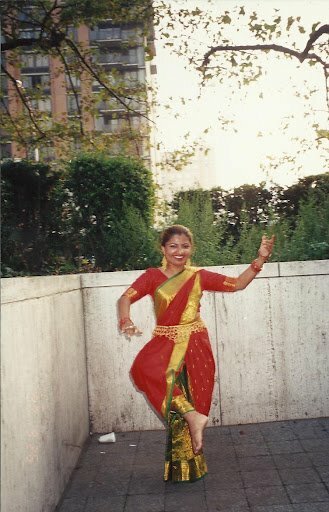 Ms. Baboolal performed Rajdhar, Chutney, Kathak and Odissi at several events such as Lincoln Center in the park, Kitchrie 1998, 1999, 2000, 2002, 2005, 2006 & 2012, Caribbean Cultural Center, Sound of the Bells musical drama, Mandir events, Borough of Manhattan Community College cultural events, the Wakanam fundraising dinner 2002 and 2005, private parties, Gora's Memorial, and political events such as the visit of Guyana's first lady Janet Jagan, the late President Cheddi Jagan, Foreign Minister Insanally of Guyana at the Borough of Manhattan Community College, Minnobrook Conference, Queens Council of Arts, Verizon Womyn's Herstory Month celebration, Indian Arrival day celebration in 2000 and 2004, Phagwa parade 2003 and 2006 at Smokey park in Richmond Hill and at the Trinidad consulate for the past 4 years, Art Interpreted 2003, Senator Kevin Parker's Victory party in 2004, the West Indian American Carnival labor day parade 2004, the Labor Day Carnival Queen of Calypso night 2004, Fundraiser for Katrina Relief Fund, Rajkumari Art Fair 2005. Ms. Baboolal taught Kathak class for the Rajkumari cultural center at Kabir Mandir and assisted the Bhawanee Maa Mandir Dance troop. She also studies Drama with Pritha Singh where she executed that training in performances such as Sound of the Bells, Chandalika, Kitchrie 1998, 1999, 2000, 2001, 2003, 2005, Chaykay, Vivaaha, and the powerful Women of the Mahabrata as Madri. She has danced for artists such as Ustad Kadar Khan, Robbie Dalip, Dino Boodram, Errol Balkissoon, Shiva Lakhan, Being classically trained she created her unique and tantalizing style of chutney which is in popular demand today. She is versed in performing with live musicians for both classical and chutney music. Denyse is currently pursuing her master's Degree in Not for Profit Management at Capella University. She obtained her Bachelor's of Science in Public Administration at Empire University, and Associate in Business Management from Borough of Manhattan Community College. She studied West African dance, Hip hop and Jazz and one year of voice as her minor. Mrs. Baboolal was employed for 12 years at Verizon as a customer representative. While there she founded and coordinated Womyn's Herstory Month for the Brooklyn office. She completed a six month training in vocals from Bonnie Kirk and a three month cosmetology course in theatre make up with Raddha Singh. She does private jobs as a make-up artist and back up singer. Denyse attended workshops of the Wise Earth- Mother Om Mission (MOM) with Swamini Maya Tiwari & Radha Singh, Jayasri Alicia Jowarar for the Yoga, meditation, & Ayurveda training. Denyse studied Karate with Darryl Williams for 5 years as a teenager and holds a 3rd degree brown belt. She has received several medals and trophies for Synconized Katas. By 2004 Ms. Baboolal was a well renowned dancer, dancing for Elite clients such as Trinidad & Tobago Consulate, Guyana Consulate, Brooklyn Museum, New York State Senator Kevin Parker Fundraising event, Dane Gulston panist, pre Carnival at City Hall with Mayor Bloomberg, Jouvert performance. Ms. Baboolal was the first and to date the only Indian dancer to perform from the beginning of the Parkway to the end of the Parkway on Labor Day by the West Indian American Day Carnival Association, Inc. Denyse attended a drama workshop with the late actor from Bill Cosby Mr. Sullivan Walker, Pritha Singh, and Radha Singh. For Kitchrie 2005 her directorial debut for Sullivan Walkers play "Nora's complaint" was a hit. She danced with singing chutney Anand Yankaran, Shiva Lakhan, Artiste Anjali, Rick Ramdehal, Bhisham Singh, Mohammed and Gulam Khan, Denyse attended Kakoli Mukerjee mini workshop in Odrissi and Kathak with Romanee Kalicharran, as well as, touching on some Bollywood dancing with Jamuna Mitcham. In 2005-2006 she conducted a 6weeks series of Chutney workshops for elders. In 2006 she produced, choreographed, and danced for the Mariammen Pugal Malaai “a garland of Songs for Mother” where she executed Madrasi and classical style dancing, She assisted Reish Baboolal with costume and set designing while observing a strict devotional fast. On May 26 Indian Arrival Day, Ms Baboolal performed two chutney dances at Trinidad Consulate., for which she received standing ovation. May 29th Guyana Consulate Anniversary a series of chutney and Rajdhar dances and a fusion dance with African and Indian drums in Washington DC. June 30th she demonstrated her chutney, Rajdhar, and Kathak skills in Kitchrie 2006, in St Francis College. Denyse dances classical for many temple fundraiser and political events. In 2007 Feb She performed two dances at Blairmont Kali Temple displaying her Madrasi style worship dance. May 12 & 13 Brooklyn Center performed with Sherwin Winchester and Dane Gulston in song "dont stop giving it to me" at the 31st Annual Mother's Day show in Brooklyn Center Brooklyn NY. Riverside Theatre June 16 Chutney workshop and demonstration, Caribbean Heritage month in Brooklyn College June 29 where the Ganges meet the Niles collaborating with Something Positive fusing Urobia and Hindu Gods via Dance and fusing chutney and African. Kitchrie 2007 produced, choreographed, and danced at Forest Park Bandshell August 19 with Aron Jewan Singh, Jameer Hosein, Major League Tassa & Petrotrin Tassa group. Sunday Sept 2 Brooklyn Museum dancing with Something Positive to Machel Mantano's "Jumbie" in classical Indian dance style. Nov 17, 2007 a Durga dance "Jagadambike" in Shri Mariamman Koilou temple in Trinidad. In 2008 she debut in South Florida Divali show at Plantation High School dancing “Jagadambike” in a south Indian style and a Vandana Trayee Kathak style. Sept 2008 she opened the JayaDevi School of Dance in Hollywood FL. Her beginner students, with only 4 weeks knowledge in dance, executed a Kathak piece with only bols (words no music) and the sound of the bells on their feet received a standing ovation. In 2009 Jayadevi School of dance was growing and was being recognized! In 2010 Denyse and the Board of Directors made Jayadevi School of Dance the first nonprofit Indo-Caribbean Arts Organization in South Florida and changed the name to "Jayadevi Arts Inc. " (JAI). In 2011, Denyse produced and assisted the Rajkumari Cultural Center in New York with the Kitchrie Festival Hosay Tadjah & Tassa. Ending off 2011 JAI has performed at every Major event in South Florida and guest choreographers from New York and Trinidad have all blessed JAI students with new knowledge and different dance styles. In 2011 Jayadevi received its 501 © 3 tax exemption. JAI has four (4) locations at Hollywood, Plantation, Oakland Park, and West Palm Beach. Ms. Baboolal is employed full time as Executive and Artistic Director, in addition to choreographer and instructor. Ms. Baboolal is nearing the completion of her Masters degree in nonprofit management. In 2012, Denyse wrote her first grant for Jayadevi Arts and was successfully reward their first grant for an Indo-Caribbean showcase called “Shakti Sangeet Aur Naach”. Denyse produced, danced, choreographed and taught a 4week Chutney dance workshop at Rajkumari Cultural Center in New York for the final Kitchrie Festival. EArlier in the year Denyse was hired to be the Host of the only Indian program on local radio on Sundays. Part of her duties are voice over commercials, host events, administrative work, maintenance of the website, and networking for the broker. In 2013, She was featured on Channel 10 News Food section displaying Indo-Caribbean food and marketing Hosay. She successfully executed Hosay in 5 days along with Master builder Vijay Ramdhanie and Lecturer Frank Korom. Denyse hosted the Phagwah and Hosay events. In 2014 Denyse was instrumental in getting Jayadevi 2 grants Broward Cultural Division and Florida State Cultural Affairs for the first 2day Indo-Caribbean festival Kitchrie showcasing the first Indo-Caribbean musical dance drama, a drum display and a display of Trinidad, Guyana, Jamaica and Suriname style of music and dance. It was the first time Indo-Caribbean Surinamese Group performed in Florida at such a high caliber. Denyse choreographed 19 dance pieces in this year with 3 locations-- West Plam, Hollywood and & Plantation. Denyse was appointed to represent District 9 Honorable Dale Holness on the Diversity Advisory Council board and in November was voted in as the Secretary of the Council. She is also the manager of Baithak Gana Warriors led by Rayen Kalpoe from Suriname. In 2016 Denyse produced the Nav Durga Warrior Princess musical dance drama with 9 original dances 9 scenes and introduced and created all the multimedia animated videos at a state of the arts theater. Denyse was awarded by the Secretary of Floirda State the Diversity and Inclusive award for her work with Jayadevi Arts. In 2017 Denyse graduated from the American Broadcasting School as a Multi-Media Journalist and certified to host Radio, TV, and Events. She received the Prestigious award of Top 25 Pioneering Prominent Indo-Caribbean Woman in New York. She hosted a 3 day Divali event in Kingston Jamaica. Ms Baboolal was induced as a Governor at NANOE National Association of Nonprofit Organizations and Executives. In 2018 Denyse Hosted many weddings, sweet 16, Chutney show and mothers day shows etc. She produced Tandava Cosmic dancer dance drama with superb dances or high caliber. n 2019 Denyse established Jayadevi Arts Inc in Suriname and change JAI status from Domestic nonprofit to International non profit. She serves as a Governor of NANOE for another term and earned credentials as CNC Certified Nonprofit Consultant. Shes also Trinidadian and Guyanese translator for the Language Doctor for Federal and Supreme Courts.